We had a fun shoot at eBay this month thanks to our favorite Prompter operator Lorin Fink of Line by Line Teleprompting. 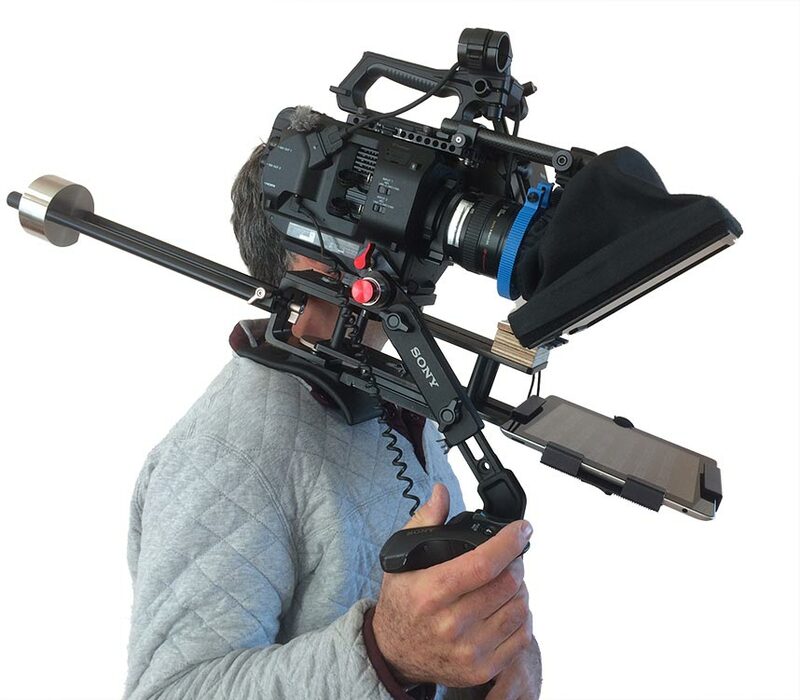 The out-of-town client needed to prompt real employees with a mobile TelePrompter. Non-actors need all the prompting they can get, even in simple role playing situations because acting and memorizing lines is not what they normally do. We have the perfect portable prompting rig and Lorin Fink is a master at using it. Together we managed to pull off some pretty complex shots where our camera, Prompter and director started out in a hallway, joined an actor in an elevator, went up a floor and down another hallway. Thank God the wireless microphone, operated by Will Mitchell, was strong enough so that Will didn’t have to join us for the elevator ride; it was a tight fit in there! The Prompter rig is based on an iPad. Totally wireless and battery-powered. Lorin runs it from a Mac for which he has a harness so that he can walk with it. Communication between the two devices is either through WiFi or Bluetooth. The system is not without its bugs, but that’s where Lorin’s expertise in invaluable; he never holds up the shoot. Other parts of this project involved a classroom scene where Lorin set up six Prompter screens so that the actors could look in many directions while still reading the Prompter. Overall this was a simple shoot for the camera, but a challenge for the TelePrompter operator. Lorin pulled it off without a hitch. Six TelePrompters used simultaneously for the actors’ eyelines.